65 years ago, on Saturday, October 26, 1946 game show host Pat Sajak was born. 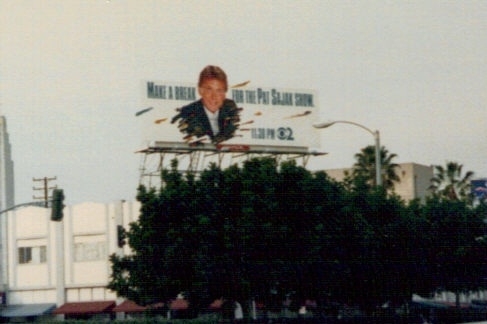 Billboard in Los Angeles promoting "The Pat Sjak Show." 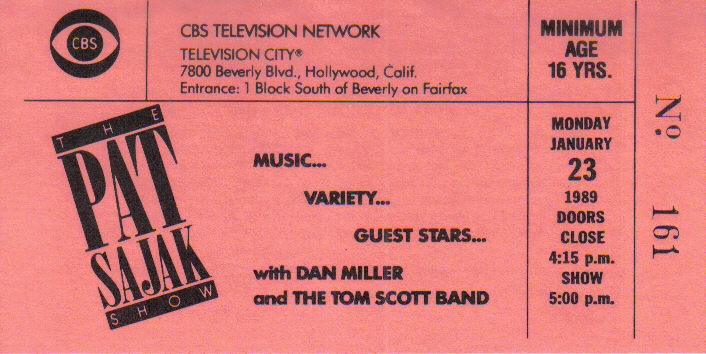 Ticket for "The Pat Sjak Show" -- a late night talk show on CBS. Happy Birthday Pat! (Send Vanna my love). 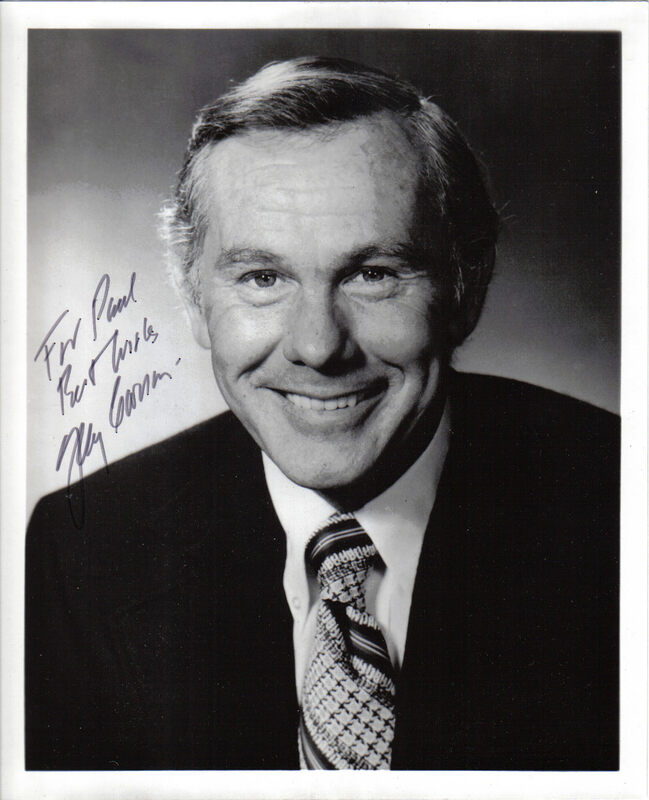 A photo personally autographed to this writer by Johnny Carson in the 1970s. 86 years ago today, on Friday, October 23, 1925, a woman named Ruth Carson gave birth to a son in Corning, Iowa… but Johnny was on vacation, so Ruth gave birth to Joey Bishop! I couldn’t resist. That joke has been around for decades. 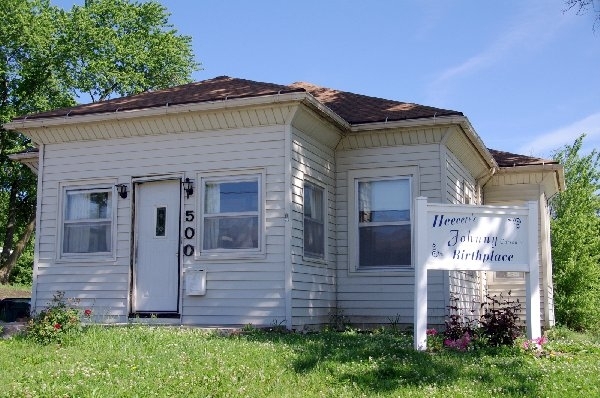 The house in Corning, Iowa where Johnny Carson was born on October 23, 1925. But truly, the “King of Late Night,” was born on this date in this house, in 1925. John William Carson was born to Homer and Ruth Carson, and he would go on to leave a gigantic imprint on the world of television. Although born in Corning Johnny didn’t stay there long. Due to Homer’s job with a utility company the Carson family moved quite a bit. After relocating to several western Iowa towns, the Carsons eventually settled in Norfolk, Nebraska. It was in this classic version of small-town America that Johnny began performing. And it was in this home that Johnny grew up. 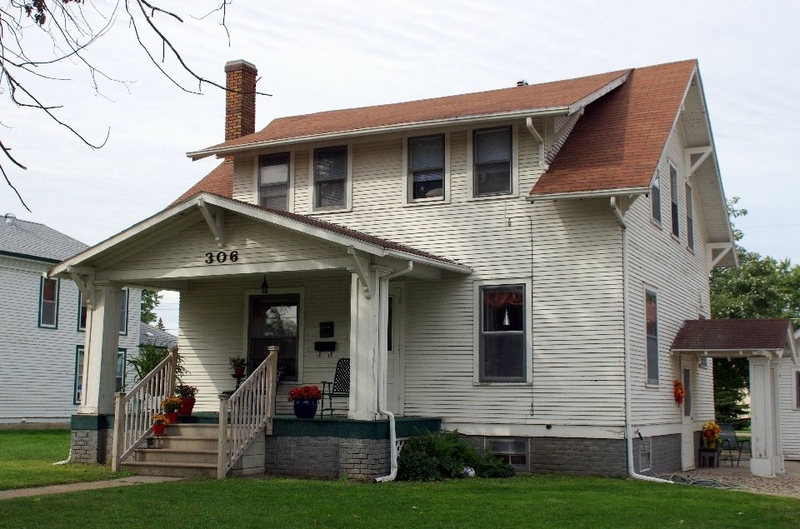 The house in Norfolk, Nebraska where Johnny Carson grew up. After learning magic young Johnny appeared around town as The Great Carsoni and built the foundation for his career. 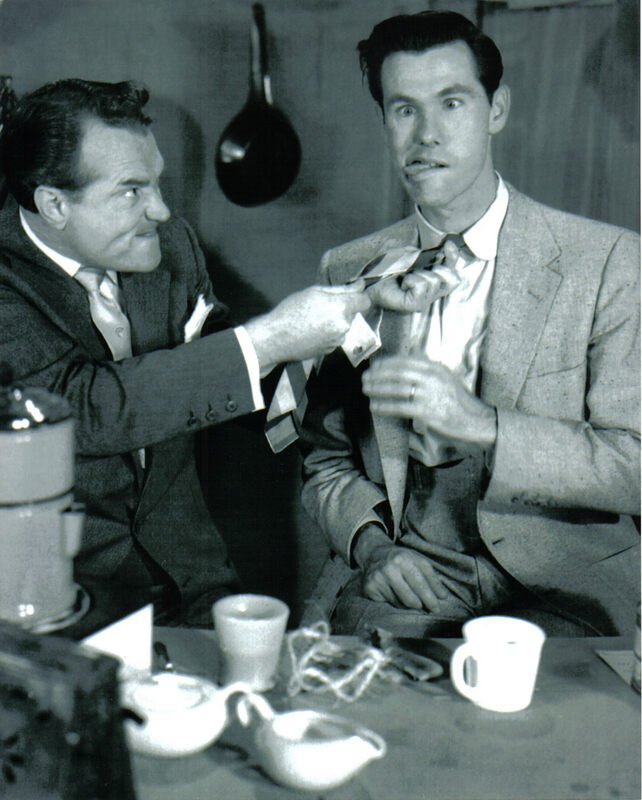 Johnny Carson clowns around with his mentor and boss, Red Skelton. As you all know, Johnny Carson went on to host “The Tonight Show” from 1962 to 1992. In his almost 30 years at the helm Carson turned “The Tonight Show” into an institution. 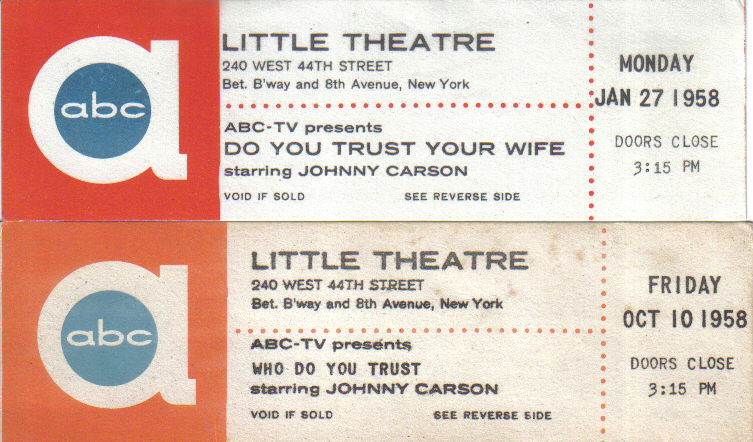 It became a nightly “must-see” for many and Johnny Carson himself became a barometer of public opinion. 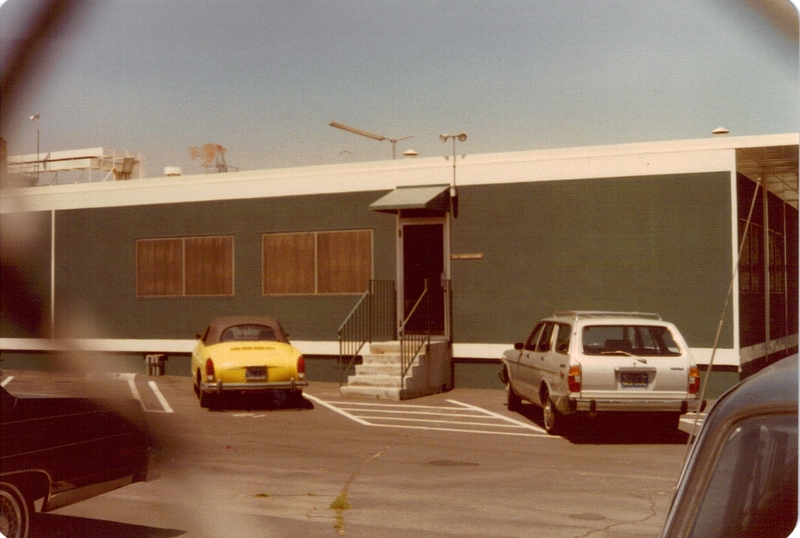 Offices for "The Tonight Show" at NBC Burbank, 1979. Carson left “The Tonight Show” in 1992 and pretty much retired from public life. He died on January 23, 2005 after a long battle with emphysema. Johnny Carson became one of television’s biggest stars ever, but he never forgot his hometown of Norfolk, Nebraska. Carson donated nearly $5-million to various causes in Norfolk and the people there returned his love. 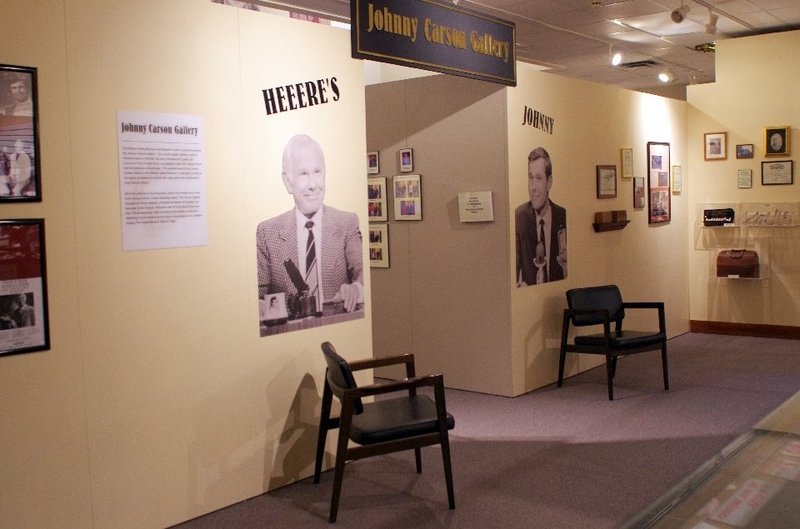 So if you stop in at the Elkhorn Valley Museum in Norfolk, be sure to see the Johnny Carson Gallery there. Entrance to the Johnny Carson Gallery. Johnny Carson was born 86 years ago on this date in TV history. 66 years ago today, on Tuesday, August 14, 1945 actor/writer/producer/comedian Steve Martin was born in Waco, Texas. He began performing while still in his teens and by the time he was 22 he was writing comedy for network TV shows. Between 1967 and 1973 Steve Martin worked as a writer on half a dozen comedy variety series including “The Smothers Brothers Comedy Hour,” “The Summer Brothers Smothers Show,” “Pat Paulsen’s Half a Comedy Hour,” “The Glen Campbell Goodtime Hour,” “The Ken Berry ‘Wow’ Show,” and “The Sonny and Cher Comedy Hour.” He was also a featured performer on several of those shows, as well as on “The Ray Stevens Show” in the summer of 1970. It was that first appearance on Johnny Carson’s “Tonight Show” in 1973 that brought Martin some national attention. His first appearance as host of “Saturday Night Live” in 1976 sealed the deal and made him a comedy “rock star.” I was in the audience for that show. 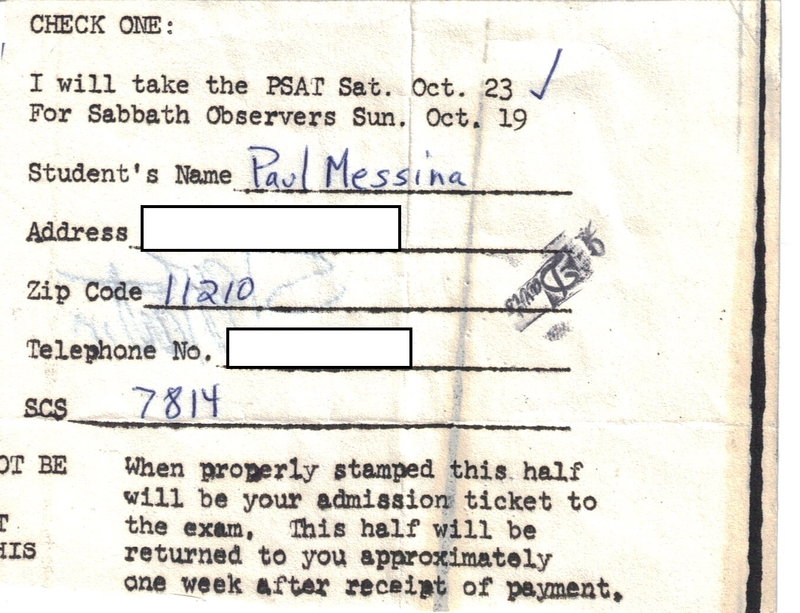 In fact, I got his autograph earlier that day, on the back of my admission slip for the PSAT exam. 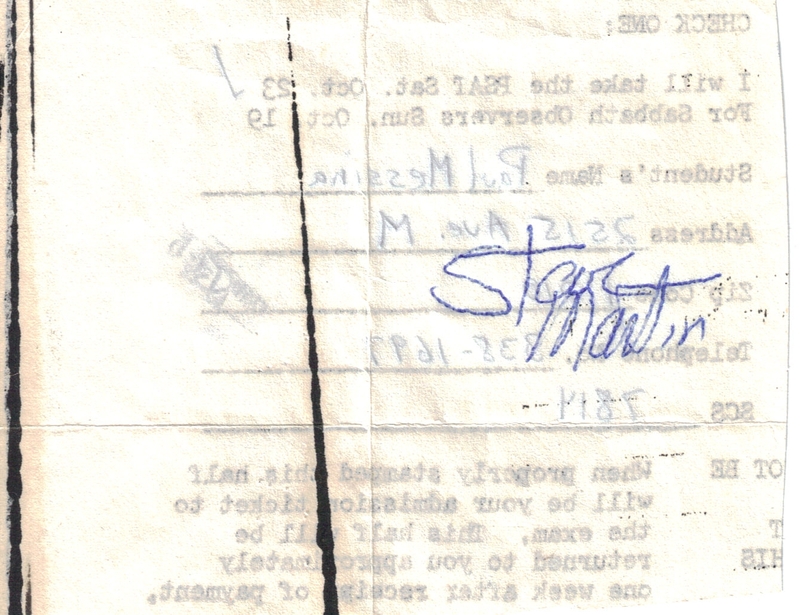 What's on the other side of Steve Martin's autograph? The date on my admission slip for the PSAT exam, which was administered that morning. So, while many people were introduced to Steve Martin on October 23, 1976, I was already a fan. But in addition to lots of laughs, I also remember a very touching moment provided by Steve Martin on the day Gilda Radner died (May 20, 1989). Martin was hosting “Saturday Night Live” that night and I was in the audience. When he introduced a clip of he and Gilda dancing in an old sketch it was quite moving. Martin, and most of the audience, seemed to be holding in some emotions. Although Martin has never starred in his own series his career is a product of TV. From his roots as a writer… to his TV specials and guest appearances… to his hosting the Academy Awards broadcast… Steve Martin is a TV star. Happy Birthday to Steve Martin, the TV star (and movie star, playwright, musician, novelist, and art collector). Thanks for everything. 100 years ago today, on Sunday, August 6, 1911 one of TV’s most gifted comic actresses was born in Jamestown, New York; Lucille Ball. Although Lucille Ball would find success as a model and then as an actress on film, stage and radio, it was her work in TV that made her an American treasure and icon. 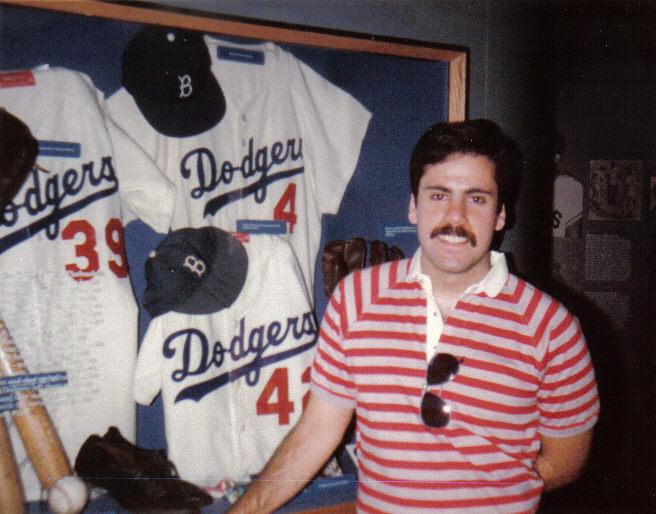 Your blogger, sitting in for Fred Mertz, during the “I Love Lucy” 50th Anniversary Tour in 2001. America had a love affair with “I Love Lucy” and the sitcom ran for seven seasons and 180 episodes. 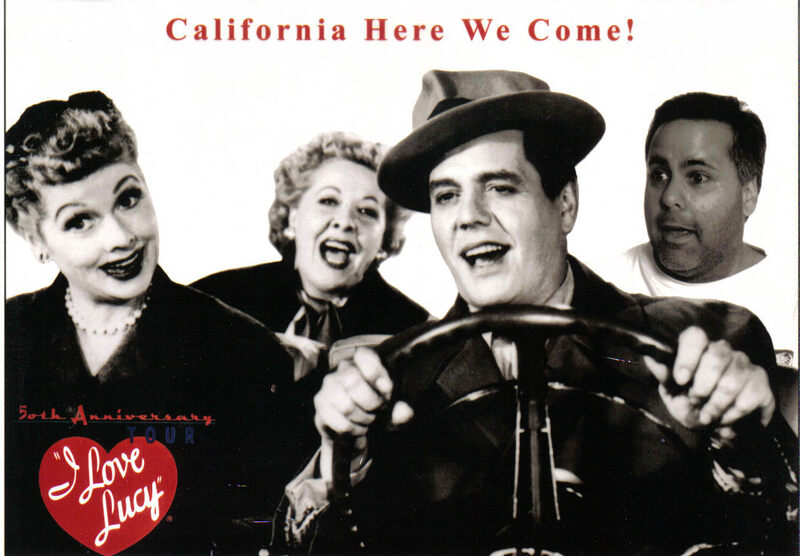 After some changes the show became “The Lucy–Desi Comedy Hour” and ran for 3 more seasons. Lucy & Desi divorced in 1960 and Lucille Ball returned to sitcoms with “The Lucy Show” in 1962. Vivian Vance returned as Lucy’s “partner in crime” and veteran actor Gale Gordon became the male foil for Lucy’s wacky hijinks. It ran on CBS for six seasons (1962-1968) before giving way to “Here’s Lucy” which also co-starred Gale Gordon and Ball’s children Lucie Arnaz and Desi Arnaz Jr. “Here’s Lucy” also ran on CBS for six seasons (1968-1974). In 1986, at the age of 75, Lucille Ball was lured back to TV for an ABC sitcom called “Life with Lucy.” Unfortunately, even with former co-star Gale Gordon in the cast, the old magic wasn’t there and only eight episodes were broadcast. “Life with Lucy” was Lucille Ball’s only failure on TV but it’s not how she’ll be remembered. Lucille Ball was a comedic genius who we welcomed her into our homes from 1951 to 1974 (except for two years off). There have been other talented and exceptional comedic actresses on TV but Lucille Ball stands alone as the first and arguably the best. She also became the first woman to run a Hollywood studio when she bought Desi’s share of Desilu following their divorce. Today she is also remembered by The Lucy-Desi Center in her hometown of Jamestown, New York which manages two facilities: The Lucy-Desi Museum and The Desilu Playhouse. The center’s premiere event is The Lucille Ball Festival of Comedy, held each August. This year, in honor of Lucy’s 100th birthday, there were performances by Joan Rivers and Paula Poundstone. Lucy Fest continues through Sunday (August 7th). Lucille Ball died in April 1989 at the age of 77, but she left her mark on several generations, who will always love Lucy. 55 years ago today, on Sunday, August 5, 1956 actress Maureen McCormick was born in Los Angeles, California. 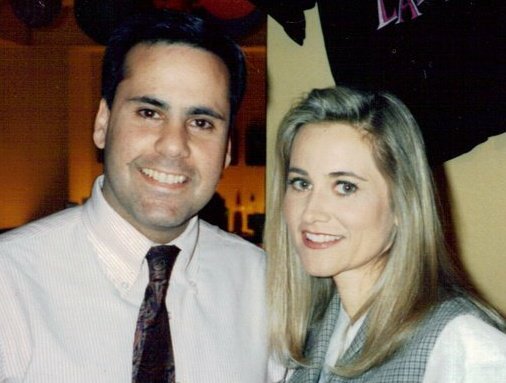 Your blogger with Maureen McCormick, circa 1994. What can we say about “The Brady Bunch” that hasn’t already been said? I remember my older sister suggesting we watch this new show that she heard was supposed to be good, and I never stopped watching. Although the sitcom ran for only 5 seasons it launched a brand that kept returning in several genres and is still remembered fondly. Is there anyone between ages 45 and 60 who doesn’t know all the words to the theme song? McCormick also starred in the TV movie, “Get to the Heart: The Barbara Mandrell Story” in 1997, as country singer Barbara Mandrell. More recently she appeared on VH1’s “Celebrity Fit Club” in 2007.